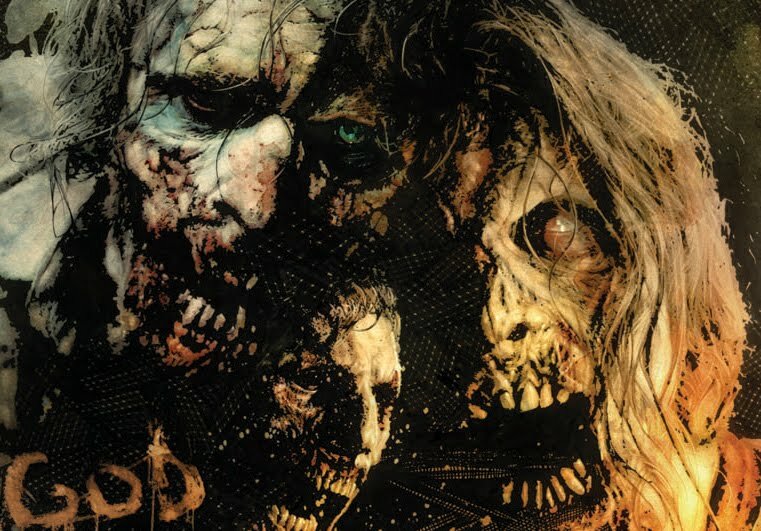 The Dead shall walk again this October. 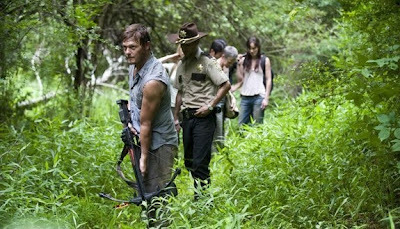 Check out the official trailer to the second season of AMC's The Walking Dead that have just debuted at Comic-Con. Good things just can't stayed dead, that's for sure. 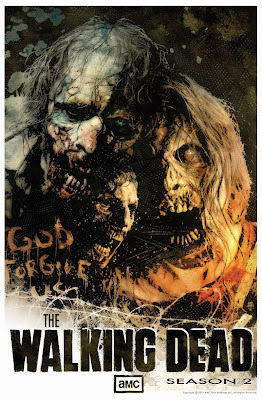 The season one of Frank Darabont's TV adaptation of the comic book series by Robert Kirkman, Tony Moore and Charlie Adlard, have been well-received enough that a season two featuring thirteen episodes was picked by the AMC network. Straight from Comic-Con, here's the high-intense official trailer to the season two. And yes we can see Hershel's farm near the end of the clip. 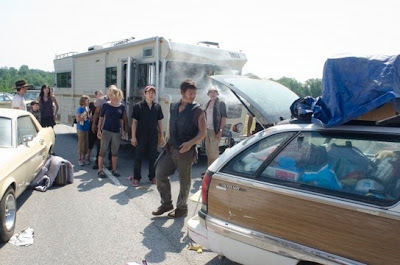 At the rate the show moving, it's a fair bet that fan-favorite characters like The Governor and Michonne are bound to show up by season three. At The Walking Dead Comic-Con panel, apart from Robert Kirkman, showrunner Frank Darabont, and the entire cast of the series, acclaimed comic book artist Tim Bradstreet was also one of the attendees for his special commissioned artwork for the season two poster. Hit the jump to check out the poster followed by some of the set stills from season two. 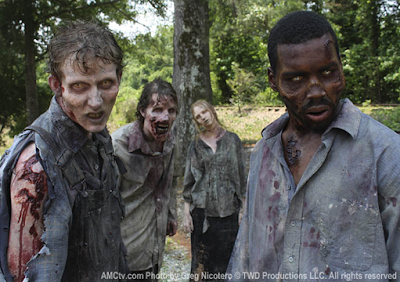 The season 2 of The Walking Dead is scheduled to premiere on Sunday, October 16th, at 9pm on AMC.